Weekend, Travel, "San Juan Islands"
A couple weeks ago Cameron and I craved a weekend away. We don't often leave our son overnight and wanted somewhere we could go which was close by, but felt a world away. We love the San Juan Islands and knew that with Kenmore Air we could get up there fast, easy and safe. We were able to leave our home in West Seattle and check into our hotel on Friday Harbor almost as quick as my parents were able to return back to their home after picking up our son. 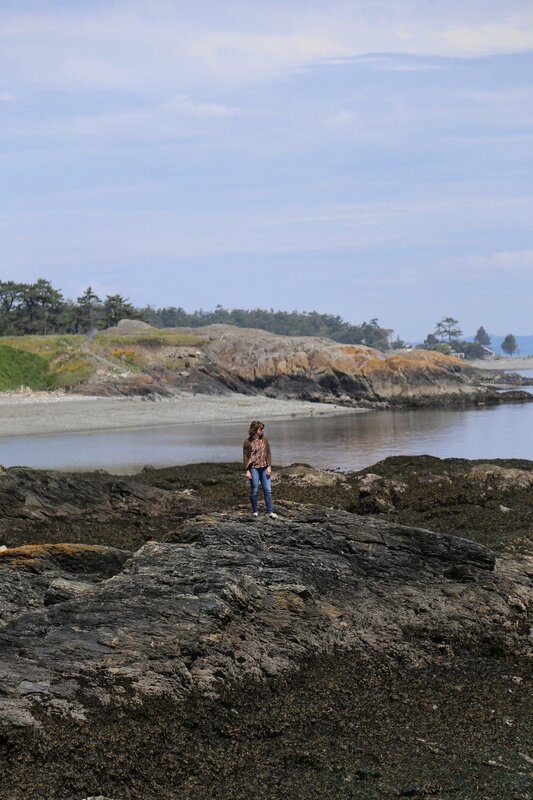 If you want a change of scenery and an easy place to get to from Seattle the San Juan Islands are one of our favorite spots to go. In addition, it always feels like an exciting adventure to ride in a seaplane. 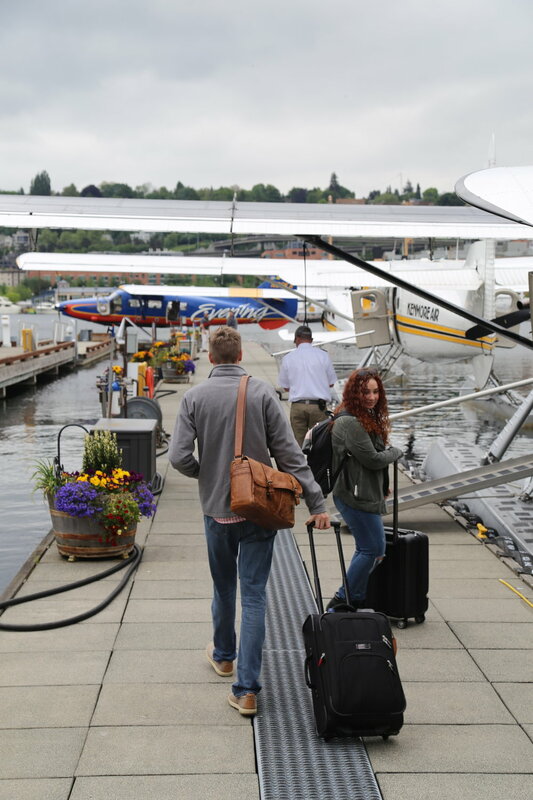 When you fly Kenmore Air it is the complete opposite experience of going to the airport. You don't need to arrive hours ahead of time, wait in a variety of lines or end up feeling frustrated your bag was rifled through. 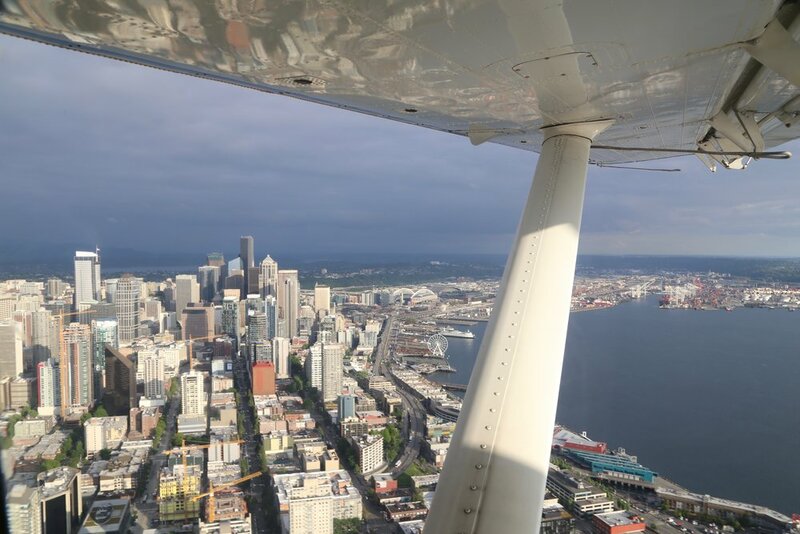 With Kenmore Air you arrive 30 minutes prior to your departure and then off you go. No waiting, no lines, no hassles and no fuss. Once in the air, we soared over so many familiar places and enjoyed just sitting back and relaxing for the next 45 minutes. Although I have taken Kenmore Air a couple times in the past, I had never flown to the San Juan Islands before. It should come as no surprise, but I jumped at the chance to sit up front with the pilot. Before we knew it our scenic flight was coming to an end and we were getting ready to land in Friday Harbor. And just a five minute walk from the dock and we were checking into our Friday Harbor House for our weekend getaway. Friday Harbor House is located a short walk from both the ferry terminal and the boat dock. Many of the newly renovated rooms have sweeping views of the harbor and make you feel like you have the best seat in the house. From a bustling ferry dock to a constant stream of seaplanes and sailboats there is no shortage of water traffic to keep you entertained all day long. Since we were staying in the heart of downtown Friday Harbor there were a variety of restaurants, shops and activities all within walking distance and at our disposal. Since we took Kenmore Air to Friday Harbor we did not have a car for the weekend. However, being without a car for the weekend did not prevent us from having fun, keeping busy nor seeing all the island had to offer. 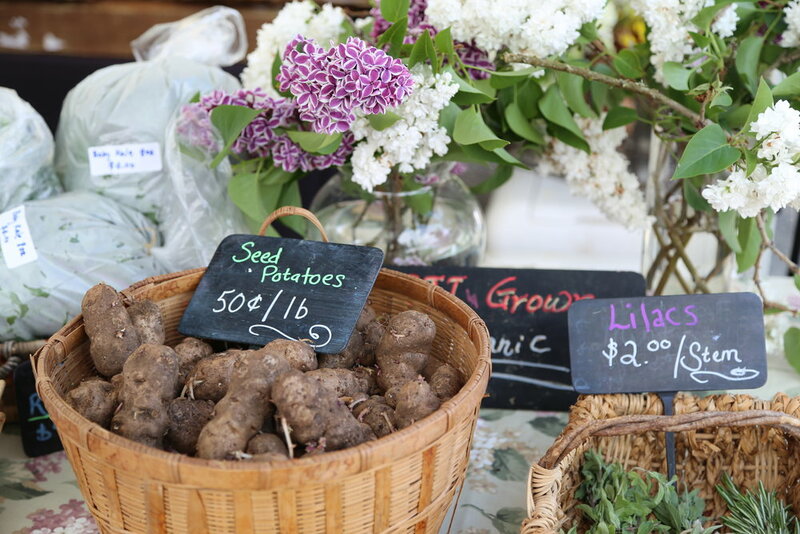 On Saturday, we made the short walk to the Friday Harbor farmer's market for more plants for our garden. After stocking up on a variety of heirloom tomatoes we made our way over to Susie's Mopeds to rent a scoot coupe for the day. 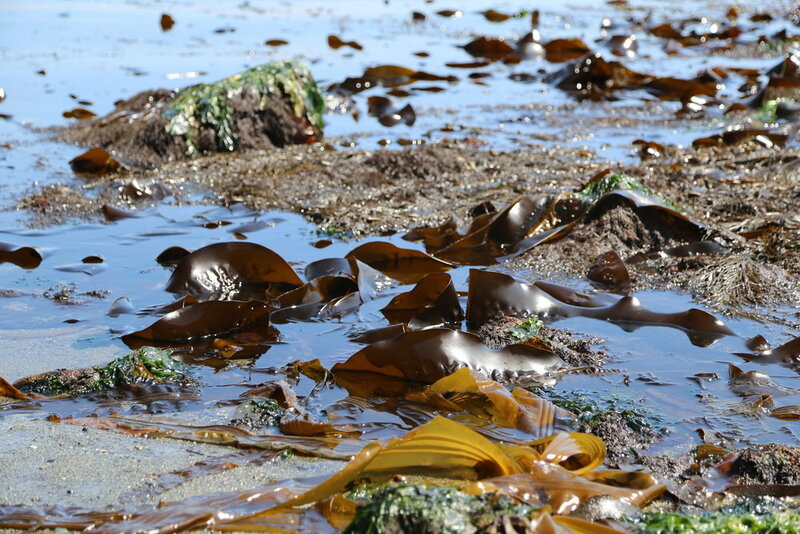 Within a few minutes we were on our way headed toward Cattle Point for a morning at the beach to enjoy low tide. 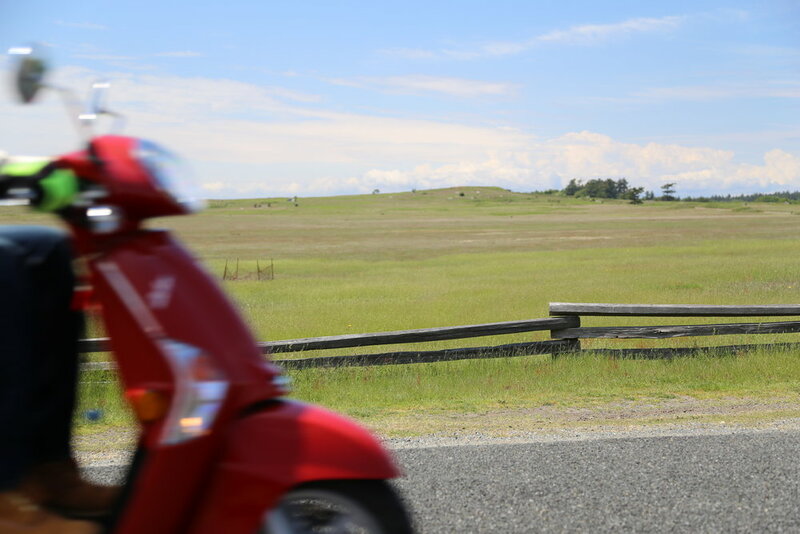 Because of Susie's mopeds getting around San Juan Island could really not be simpler. I know I have said this time and time again, but ten minutes outside of Friday Harbor and you feel like you have really gotten away from it all. No crowds and miles and miles of open road and beaches and parks to yourself. 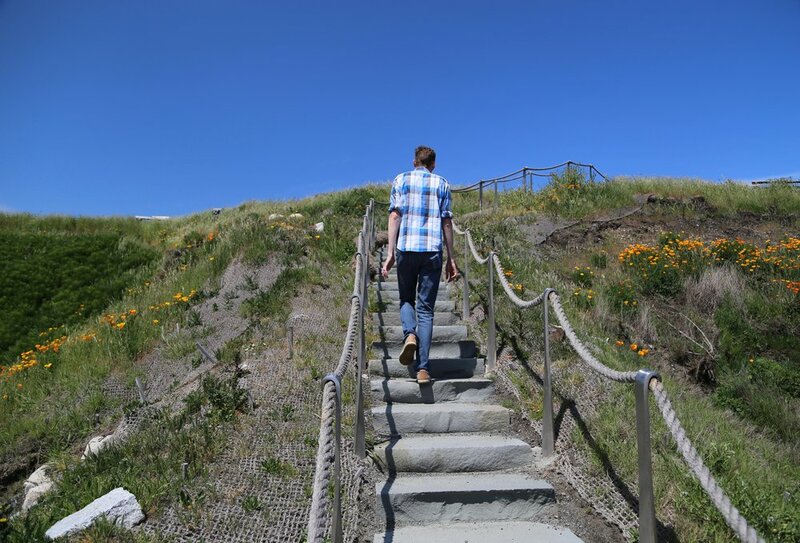 After Cattle Point our next stop was Pelindaba Lavender Farm to stock up on our favorites followed by lunch at Roche Harbor and ending the day with oysters at Westcott Bay Shellfish. 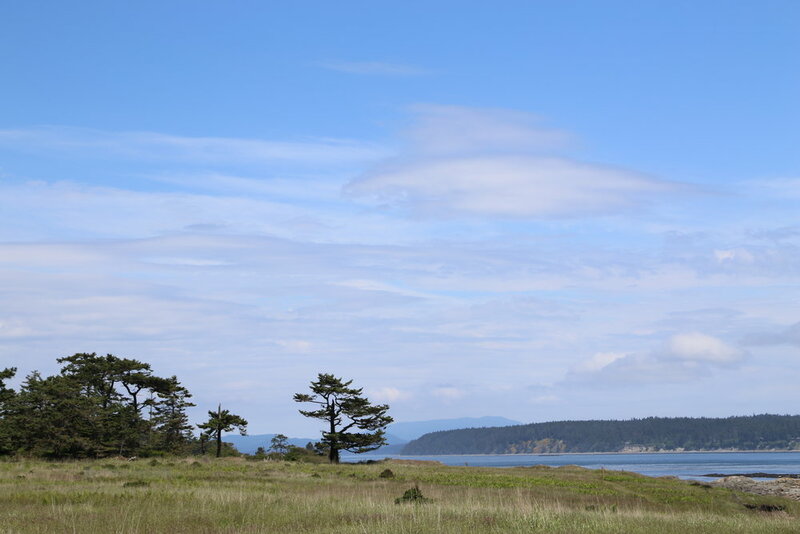 One of the things I love most about San Juan Island is how each area on the island has a totally different feel. 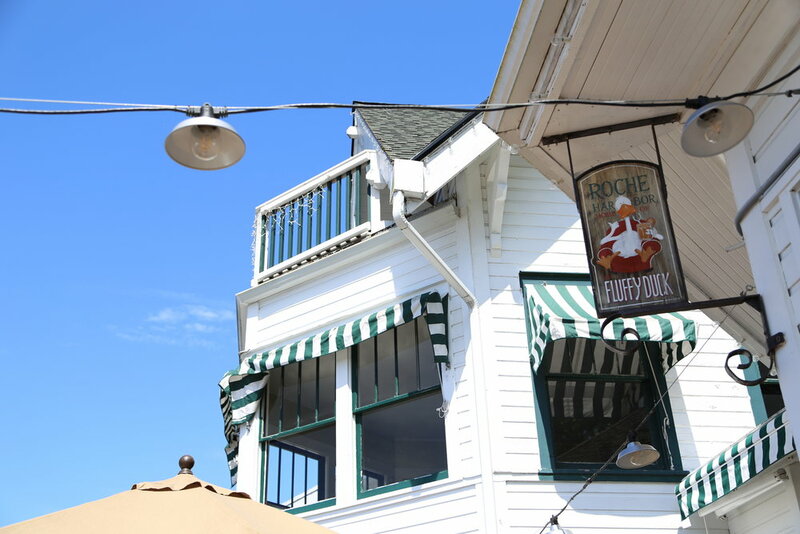 Roche Harbor on a sunny day is quintessential Summer in my book. The next day was all about adventure on the water with a high speed whale watching boat tour. We donned our heavily insulated, waterproof suits and hopped aboard the MV Kestrel with San Juan Safaris for a couple hours on the water. 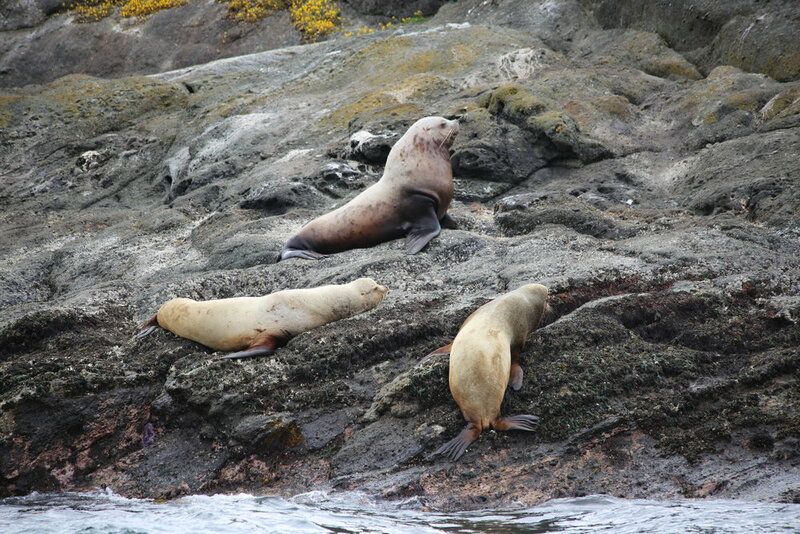 While out on the water we spotted seals and sea lions, bald eagles, orcas and humpback whales. It was a wonderful afternoon of nature watching and we are always blown away by what a beautiful place we get to call home. And one of the best parts?! San Juan Safaris is conveniently located just steps from the ferry terminal which means the boat dock was a five minute walk from our hotel. After our tour, we enjoyed a satisfying meal of seafood salad and baked oysters at Downriggers. 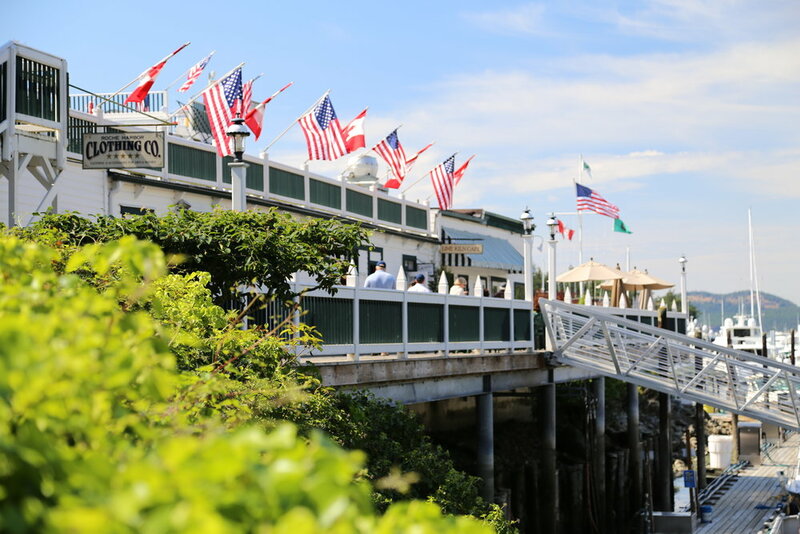 Were it not for an extensive renovation of the kitchen and outdoor dining area we would have eaten at the Friday Harbor House restaurant instead. We can't wait to come back later this Summer to enjoy the amazing food and see it all come together. After dinner, we enjoyed a quiet evening by the fire watching the sky change from different shades of pastel pink, purple and blue. Like always, our conversation turned toward our dream of one day having a home up here. The next morning we took an early morning ferry ride to Orcas Island, did some exploring and then flew back to Seattle later in the evening. 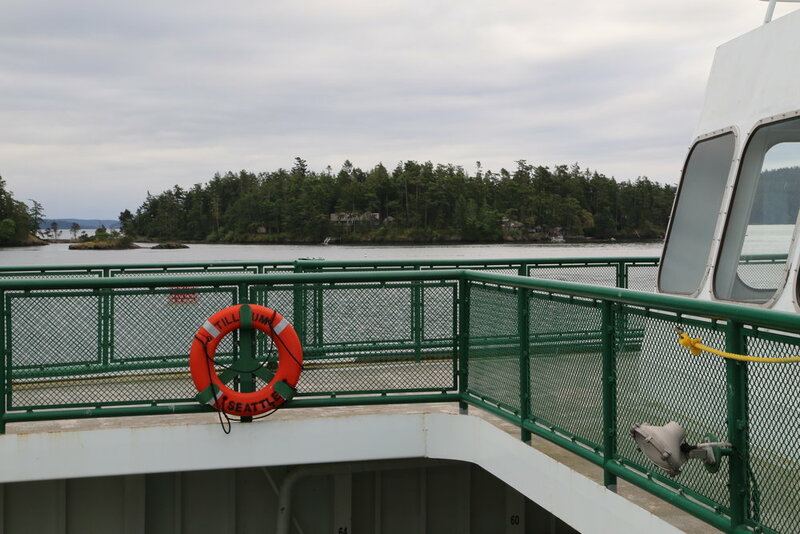 If you want a change of scenery and an easy place to get to from Seattle the San Juan Islands are one of our favorite spots to go. 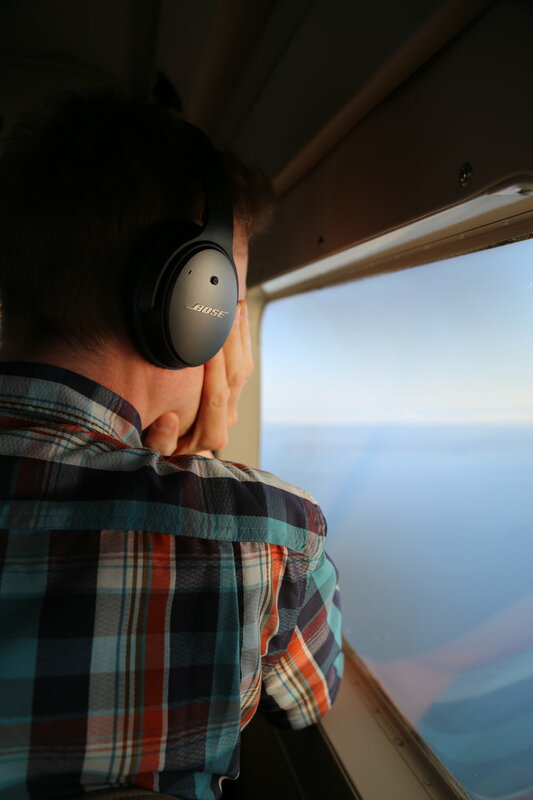 In addition, it always feels like an exciting adventure to ride in a seaplane. As I reflect on our time away and how restorative it felt. I am reminded not a moment was spent in traffic, standing in lines or fighting crowds. That in and of itself is a precious gift for us city dwellers. This post was sponsored by Kenmore Air and Friday Harbor House. All opinions stated here are my own and I was under no obligation to write anything other than my personal experience. I will never write about anything I did not enjoy or find to be a valuable experience.